Our new 10-episode video series gives you everything you need to get the most out of Spotify. Whether you’re a regular visitor to Spotify for Artists or this is your first visit to the site, we hope something is immediately clear: We’re serious about empowering artists to take control of their career. The Spotify ecosystem is massive — there’s never been anything like it in the history of music. And there are tons of tips, tricks, tools and resources that can help artists at any stage of their career make sure they’re getting most of out it. We think that sharing this knowledge is the best way to create a sustainable, rewarding experience for both artist and fans. Our latest creation for doing that is something we call The Game Plan. 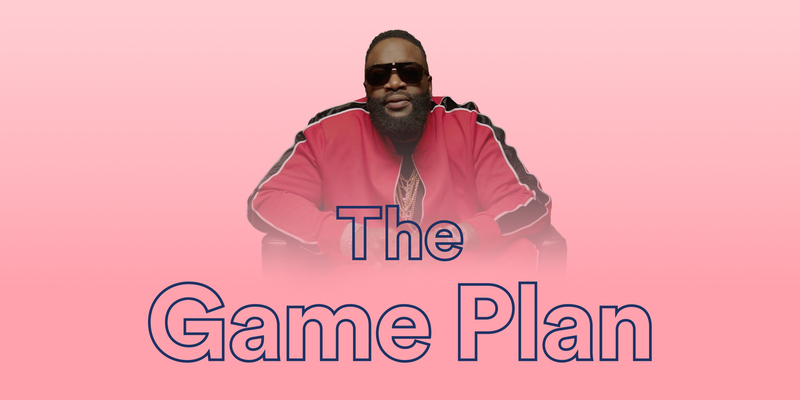 The Game Plan is an original video series designed to educate artists on the most important aspects of using Spotify to manage and grow their career. It features interviews with dozens of experts, including Spotify employees, industry veterans, and a bunch of big-name artists, such as the Teflon Don himself, Rick Ross (plus Little Dragon, Mike Posner, Vérité, and more). This is the community of committed music lovers who are helping to shape and build Spotify. We figured that if you’re gonna get advice for managing your career, you might as well hear it directly from them. As all artists know by now, streaming has dramatically altered the music landscape, obliterating barriers and expanding opportunities. Today, artists from every genre, from all around the globe, have a chance to reach an audience and build a career, but doing so requires an understanding of this new world, and that’s what The Game Plan aims to provide. Are you curious about the ideal timeline for releasing music? We cover that. Wanna know how and why to use listening data to engage your audience? It’s in there. From getting your music on the service to hiring a lawyer, the subjects covered create a crash course in navigating the modern music landscape, both inside and outside Spotify. And guess what: This is just the beginning. There’s tons more to come. It’s all part of our goal of making Spotify as helpful and transparent as possible, and providing you with the information you need to succeed. So go ahead and click on over to our new video hub where you can see all 10 episodes of The Game Plan right now. And tell Mr. Ross we said hi.